Dr. Suarez is an adult psychiatrist trained at the University of Colorado and a diplomat of the American Board of Psychiatry and Neurology. He has performed research and completed courses at prestigious institutions such as Johns Hopkins and the Memory and Aging Center at the University of California, San Francisco. Dr. Suarez has a strong interest in neuroimaging and neuropsychiatry. He also carries a strong background in molecular and clinical research. The research he performed at the Memory and Aging Center resulted in a first author publication in “Neurology” as well as an acknowledgement in a different publication in “Brain” – 2 of the most prestigious peer-reviewed journals in the field of Neurology. Throughout his career, Dr. Suarez has received numerous academic awards and scored on the top percentiles of his competency exams. Additionally, Dr. Suarez has been awarded multiple scholarship and research fellowship opportunities including the National Science Foundation Model Institutes of Excellence Scholarship, the Doris Duke Foundation Fellowship and the Howard Hughes Medical Institutions – National Institutes of Health (HHMI-NIH) Research Scholars Program. Over the years Dr. Suarez has gained experienced in a broad variety of systems of practice raging from academic, governmental, private practice and community mental health settings. 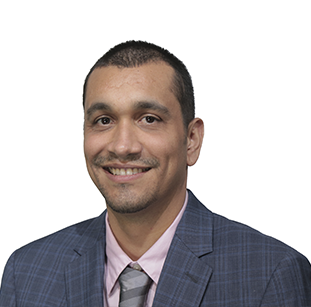 As a result, Dr. Suarez has become highly sensitive to the needs of diverse patient populations and is extremely passionate regarding issues of social advocacy and community development. When working with Dr. Suarez you can be certain that he will be equally sensitive and dedicated to the issues that matter most to you. In 2014 Dr. Suarez founded the 7 Healing Stars Oneness Center in Colorado, a platform of empowerment that combines principles of nutrition, sustainability, education, holistic health, artistic expression, spirituality and community integration. Dr. Suarez is a firm believer that all dimensions of human live must be harmonized for true healing to take place. As such, he uses a holistic and individualized treatment approach with every patient.